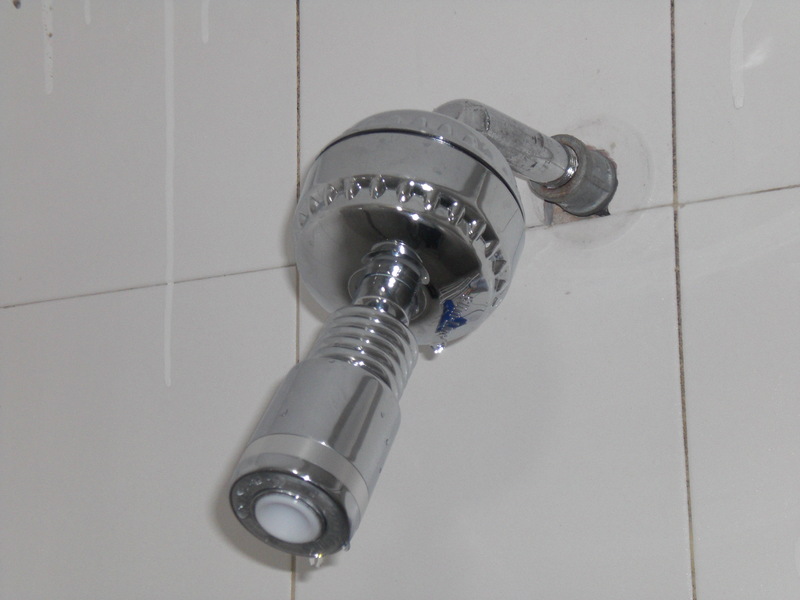 In many countries, they use a shower head that some of us affectionately refer to as a “widowmaker.” These shower heads are actually mini water heaters. As water flows through them, it heats, enabling the user to have a warm shower. Usually, the pressure has to be fairly slow, or rather maintained at a slow rate, if the user wants a reasonably warm shower. We call them widowmakers, because they are electric. What that means is that there are often wires hanging in the shower and it’s not uncommon to receive an electric shock. 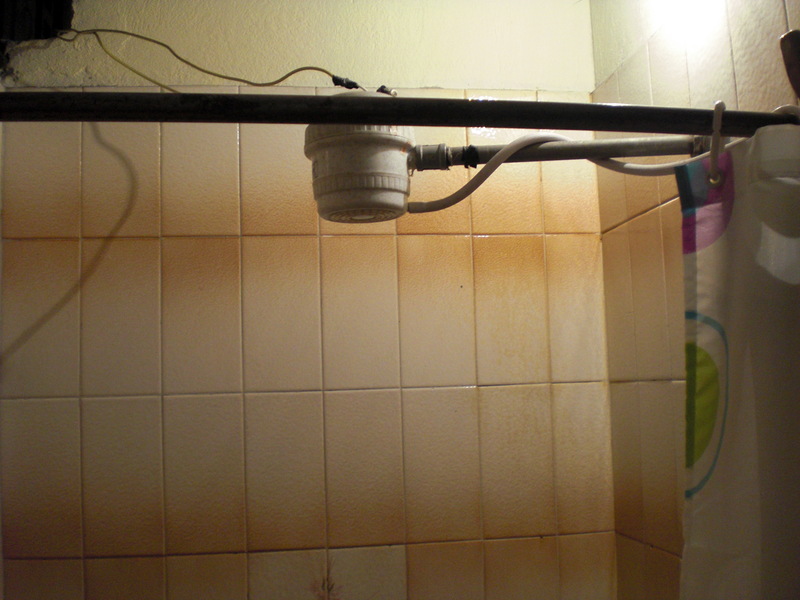 When I lived in Paraguay as an exchange student, the shower handles had rubber pads, because without them electrical shocks were the norm. Having a mildly warm shower isn’t that big of a deal in a warm climate. Bogota, however, is not a warm climate. At 8000 ft. above sea level, on an Andean plain, Bogota’s temperature is between 40 and 70 degrees Fahrenheit year round, which means closer to 40 in the morning (and without central heating). Needless to say, I wasn’t that crazy about having a luke warm shower with minimal pressure at the same time that it’s a bit nippy. While you might think that a shower head that pours down directly onto your head is extremely efficient, my unit sprayed out the sides, limiting the actual amount of water available for showering. So, you’re probably getting the picture now … a lukewarm shower, low pressure, and wasted water shooting out the sides of the unit. I suspect you can now appreciate why something as minor as a shower head became a huge pleasure in my book. After having an on-demand water heater installed in my apartment enabling me to have hot water in the shower, and kitchen and bathroom sinks, I set my sites on replacing the shower heater unit with a new shower head. My first venture was to a local hardware store where I purchased a small shower head (pictured). I figured that with any pressure at all, this little head would provide a reasonable spray. Uhm … not even close. If you fill your mouth with water and then let it dribble out down the front of you, you’ll have a reasonable facsimile of the shower with the new shower head. Argh! I finally decided I was going to have to take more drastic steps to improve my shower experience. So I went online and checked out low-flow shower heads at Gaiam, an environmentally friendly company based in California. Since I was experiencing bloodshot eyes every morning that I was attributing to chlorine in the water (I’m allergic), I figured I’d check out shower filters while I was at it. I ended up ordering a filter (99% chlorine free shower) and low-flow shower head (50% reduction in water usage) combination set, and had them delivered to a friend’s home for retrieval when I was in the US for a Board meeting. I installed the unit the moment I got home, and can’t begin to tell you how much I enjoy it. I’m not only reducing my water and electricity usage, but I’m getting an invigorating shower that no longer makes my eyes bloodshot. As I was showering recently, I started thinking about how funny it was that something as simple as a shower head replacement was such a big deal. As I thought about it, a number of things came to mind. Is it selfish, obnoxious, and/or inappropriate to be so excited about having what I consider a good shower, when what I had before is what the majority of Colombians use? Should I have just learned to live with what I had? Is the $108 I spent on the filter and shower head a selfish indulgence? Whether or not I’ve changed, I’m grateful for my ability to find joy in something as seemingly minor as my shower. I thank God for small pleasures!